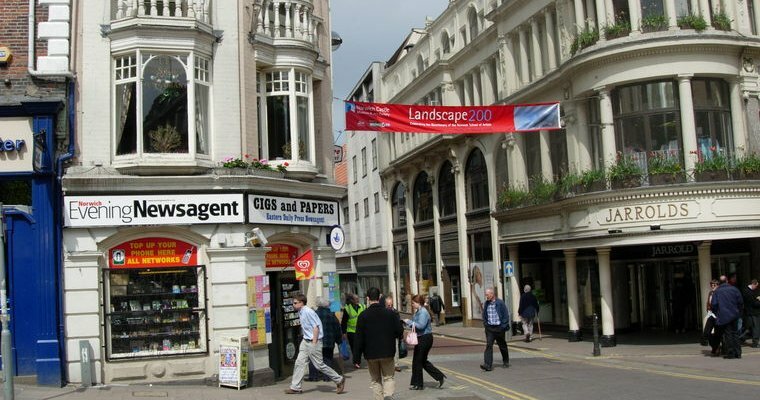 Norwich has a rich art tradition and the city produced a number of internationally acclaimed artists. And this reflect the city’s art galleries that can satisfy even the most demanding tastes. Art collections and exhibitions in Norwich galleries cover virtually the entire period of human artistic endeavour, ranging from the very first artworks that were created thousands of years ago through the medieval period to modern and contemporary art. Despite that, Norwich art scene stands out the most with its vibrant contemporary art, offering its residents and visitors always something new and exciting to see and experience. Sainsbury Centre for the Visual Arts. One of the favourite destinations for contemporary art enthusiasts and collectors in Norwich houses a collection that covers a period of over 5 millennia. Its main attraction, however, is the Modern Collection which consists of some 700 artworks by over 200 artists including great names such as Pablo Picasso, Henry Moore, Amedeo Modigliani and Jacob Epstein, to mention only a few. Norwich Castle Museum and Art Gallery. The most popular tourist attraction in the city of Norwich is both a museum and art gallery. As a result, there is less focus on fine arts as at the Sainsbury Centre for the Visual Arts but Norwich Castle houses an impressive collection of contemporary art as well which also includes works by the emerging artists. Mandell’s Gallery. Renowned throughout East Anglia, Mandell’s Gallery is home to one of the finest collections of modern and contemporary art in Norwich and Norfolk County. In addition to displaying its own collection of masterpieces from the 19th century painting to contemporary art including sculpture and photography, Mandell’s Gallery also regularly holds special exhibitions which means that there is always something new to discover and enjoy. South Asian Decorative Arts & Crafts Collection (SADACC) Trust. The SADACC Trust collection which is on display in the Old Skating Rink Gallery is dedicated to South Asian arts and crafts offering a unique insight into a variety items from the region until the mid-20th century. Together with the Sainsbury Institute for Art (SifA), the SADACC Trust is also working on creation of the South Asian Study Centre and Museum. Norwich OUTPOST. Next to the Sainsbury Centre for the Visual Arts, OUTPOST is the most visited contemporary art gallery in the city of Norwich. Founded only in 2004, OUTPOST soon emerged as one of the best contemporary art galleries of its kind in the entire region. It is run by its member artists who make sure that there is a new exhibition on a monthly basis.